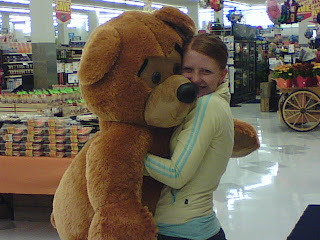 Lori found this huge Teddy Bear there that she just had to hug. I think she misses Softy. She wanted to get it but unluckily for her she is married to an accountant who doesn't like to pay $45 for Teddy Bears. 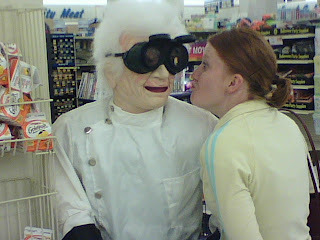 To get back at me for not buying her a Teddy Bear she went up to this weird old man in the store and just gave him a kiss!